Just north of Timothy Lake is the High Rocks viewpoint. 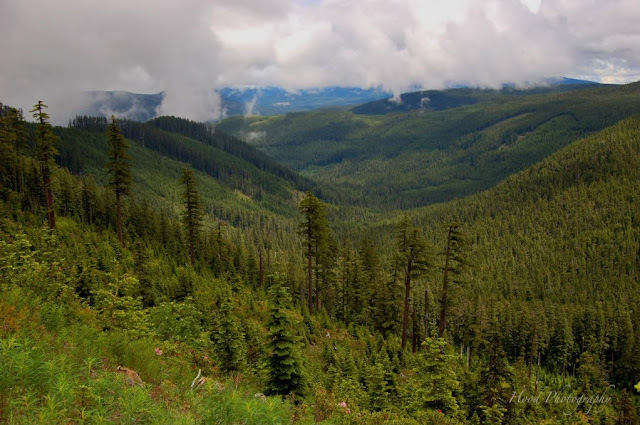 This is the impressive view of a valley through the Mt Hood National Forest. Yes, it IS an impressive view of a glacier carved valley... love the Cascades! Beauteous! Loving the clouds too. I need to go south more often and find some of these neat places. Thanks for sharing such a beautiful capture!